NIA CHARLESTOWN NEVIS (June 17, 2016) — Premier of Nevis Hon. 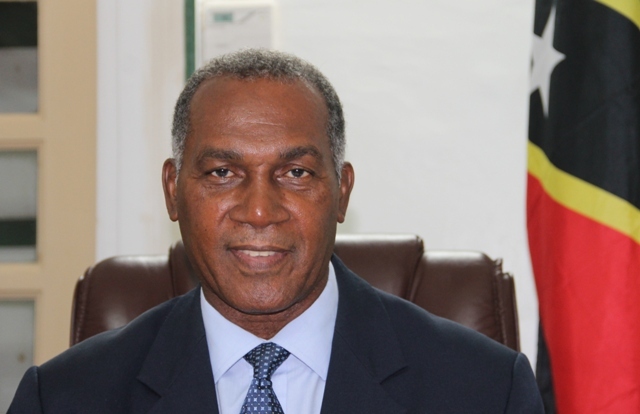 Vance Amory returns to the Federation on June 18, 2016, from Geneva, where he represented Prime Minister of St. Kitts and Nevis Dr. The Hon. Timothy Harris, at a Citizenship by Investment and International Residence Conference at the InterContinental Hotel from June 14-15, 2016. During the conference, Mr. Amory spoke of the St. Kitts and Nevis Citizenship By Investment (CBI) Programme and focused on its high quality, the fact that is the oldest programme and the most successful in the region. The Premier emphasised the new initiatives introduced to the programme to enhance its efficiency. They include staff upgrade, greater accessibility of the management of the Citizenship by Investment Unit (CIU) to agents and developers and greater efficiency and turn-around time for approval for applications made to the CIU. Applications are now being approved between 60 and 90 days after receipt of the full documentation from local agents. Mr. Amory, also addressed the steps taken by the Government of St. Kitts and Nevis to ensure that clients who choose to invest in the real estate option, receive value for their money through the institution of a Technical Committee. It ensures that properties offered are of the highest quality. He also spoke of the introduction of the requirement of an escrow account, for funds paid to developers by applicants to ensure transparency and reliability of the CBI Programme in St. Kitts and Nevis. Mr. Amory, used the opportunity to inform the cross section of professionals who promote the Citizenship by Investment and International Residence programmes, that the St. Kitts and Nevis programme is broadened to provide options for investment in projects which could enhance the health services, education and energy development to create improved quality infrastructure for the country and equally important, provide long-term employment for the people of St. Kitts and Nevis. Among participants at the conference were Antigua and Barbuda, Dominica, St. Lucia and Grenada from the Caribbean and Malta and Cyprus from the Mediterranean. Additional speakers who also spoke on their country’s respective CBI programmes included Portugal and the United States of America. Meantime, while in Geneva, Mr. Amory also took time to discuss the Nevis Financial Services options as well as the opportunities offered for High Net Worth Individuals (HNWI) to engage in efficient tax and estate planning, to better manage their wealth while still making their legitimate contribution to their countries of domicile. Honorary Consul of St. Kitts and Nevis in Geneva Mr. Steve Goldstein was instrumental in organising the meetings and has committed to doing all he can to organise similar events to promote St. Kitts and Nevis to attract investment for the ongoing development of St. Kitts and Nevis.